The share price for National Grid plc ticker lookup code: LON:NG has declined -6.15% or -51.4 points during today’s session so far. Market sellers have so far given a mostly negative outlook during the session. The high for the period has reached 823 dipping to 780.6. Volume total for shares traded at this point reached 5,131,262 while the average shares exchanged is 10,291,499. The 52 week high is 930.1 equating to 94.8 points difference from the previous close and the 52 week low at 733 making a difference of 102.3 points. 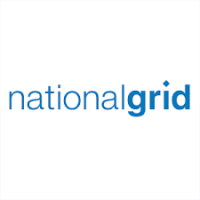 National Grid plc now has a 20 moving average of 840.67 and also a 50 day SMA of 838.69. The market capitalisation is now £26,659.37m at the time of this report. The currency for this stock is GBX. Market cap is measured in GBP. 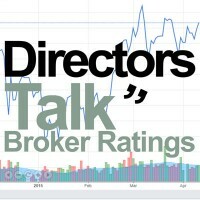 This article was written with the last trade for National Grid plc being recorded at Tuesday, December 18, 2018 at 12:05:20 PM GMT with the stock price trading at 783.9 GBX. The share price for Shire PLC EPIC code: LON:SHP has slid -3.12% or -141.25 points throughout the session so far. Market sellers were far from a positive bunch throughout the trading session. The period high has peaked at 4454 meanwhile the session low reached 4328. The total volume of shares traded by this point was 2,442,319 whilst the average number of shares exchanged is 6,029,161. The 52 week high for the shares is 4827.75 about 295.25 points in difference on the previous days close and a 52 week low being 2940.5 making a difference of 1592 points. Shire PLC now has a 20 SMA at 4604.8 with a 50 day moving average now of 4572.98. Market capitalisation is now £40,234.68m at the time of this report. All share prices mentioned for this stock are traded in GBX. Mcap is measured in GBP. This article was written with the last trade for Shire PLC being recorded at Tuesday, December 18, 2018 at 12:05:10 PM GMT with the stock price trading at 4391.25 GBX. Stock in Royal Dutch Shell Plc with ticker code: LON:RDSA has moved down -1.66% or -38.5 points throughout today’s trading session so far. Market sellers did not seem confident during the trading session. Range high for the period so far is 2287 dropping as low as 2259. The total volume of shares traded by this point was 2,825,700 whilst the daily average number of shares exchanged is just 13,098,161. A 52 week share price high is 2755 which comes in at 433 points difference from the previous days close and putting the 52 week low at 2168.5 making a difference of 153.5 points. Royal Dutch Shell Plc has a 20 SMA of 2385.75 and now a 50 day SMA of 2441.2. Market capitalisation is now £209,482.48m at the time of this report. The share price is in GBX. Mcap is measured in GBP. This article was written with the last trade for Royal Dutch Shell Plc being recorded at Tuesday, December 18, 2018 at 12:05:03 PM GMT with the stock price trading at 2283.5 GBX. The share price for Severn Trent Plc ticker code: LON:SVT has slid -1.92% or -36 points during today’s session so far. Traders have not remained optimistic while the stock has been in play. The period high has peaked at 1873 meanwhile the session low reached 1822. The amount of shares exchanged has so far reached 176,818 while the average shares exchanged is 1,159,244. A 52 week share price high is 2179 amounting to 308.5 points in difference on the previous days close and a 52 week low being 1664 which is a variance of 206.5 points. Severn Trent Plc has a 20 SMA of 1899.15 and now a 50 day simple moving average now at 1902.23. The current market cap is £4,350.74m at the time of this report. The currency for this stock is Great British pence.Market cap is measured in GBP. This article was written with the last trade for Severn Trent Plc being recorded at Tuesday, December 18, 2018 at 12:04:59 PM GMT with the stock price trading at 1834.5 GBX. 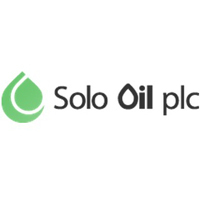 Shares in SSE PLC company symbol: LON:SSE has declined -1.75% or -18.5 points throughout today’s trading session so far. Market sellers aired on the negative side while the stock has been in play. The periods high has already touched 1050.38 while the low for the session was 1029.87. The total volume of shares exchanged through this period comes to 947,495 whilst the average number of shares exchanged is 4,749,777. The stock 52 week high is 1449.5 which is 394.5 points in difference on the previous days close and a 52 week low being 1029.87 which is a difference of 25.13 points. SSE PLC has a 20 SMA of 1107.75 and also a 50 day moving average of 1137.89. This puts the market cap at £10,640.06m at the time of this report. The currency for this stock is GBX. Market cap is measured in GBP. This article was written with the last trade for SSE PLC being recorded at Tuesday, December 18, 2018 at 12:05:03 PM GMT with the stock price trading at 1036.5 GBX. Click NG RDSA SHP SSE SVT for the full archive.